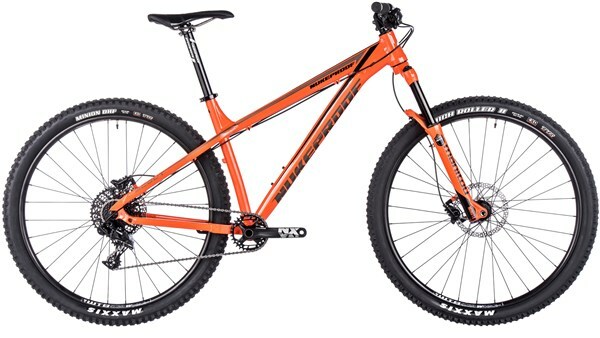 For a fast and stable ride through all sorts of mountain bike terrain, the Nukeproof Scout 290 Race hardtail MTB will be your constant companion. The 29” wheeled hardtail frame features custom hydroformed T6 6061 aluminium tubing for extra strength and responsiveness. The geometry is focused on giving a fun and stable ride while keeping nimble so you can manoeuvre the bike easily. SRAM NX1 11 speed drivetrain borrows the performance from its bigger brothers to offer consistent and smooth shifting and Shimano Deore disc brakes keep stopping simple and strong, performing high above their weight class. The Manitou Minute Comp fork takes big hits in its stride to give a supple ride and the WTB tyres give gobs of traction. 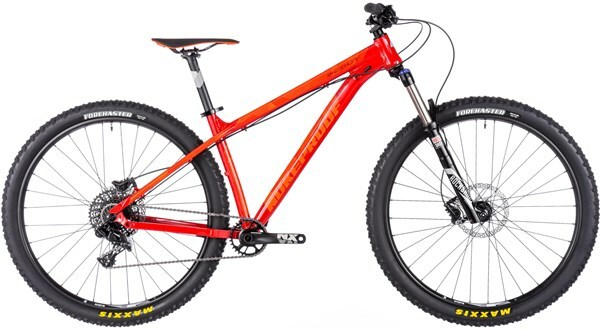 Take on the mountains and beat them at the races with the Nukeproof Scout 290 Race.